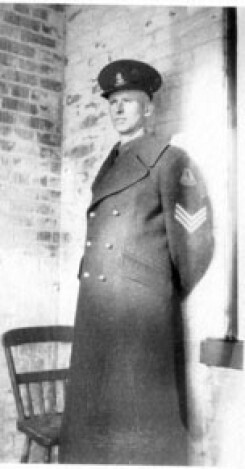 John Groenewold was born in Holland and served in the Dutch army as required, before immigrating to Canada about 1935, to the Milton area. John moved to North Oxford to Lot 13 Concession 1 and worked as a farm labourer for George Gerrie until the war started. John rejoined the Dutch army as required and served in the West Indies. He came back to the Gerrie farm and then rented Lot 12 Concession 1. He later bought a farm near New Lawson. John retired to Ingersoll, and is buried in the Ingersoll Rural Cemetery.